MUSEUM TOWER DALLAS prides itself on making life truly exceptional for our residents. As an extension of our in-house, at-your-service concierge, MUSEUM TOWER curates a special guide to the best things happening in Dallas every Friday in anticipation of the weekend ahead. This weekend, enjoy a unique evening with creator and host of This American Life, party at Klyde Warren Park with the Dallas Stars and indulge in the sounds of Beethoven. There is always something extraordinary happening #NEARBYMUSEUMTOWER. What will you discover this weekend? The Dallas Stars are taking over Klyde Warren Park tonight. The free live music event will begin at 6 p.m. featuring music from Rise & Shine and concluding with Jonathan Tyler and The Northern Lights taking the stage at approximately 8 p.m. Food trucks from local vendors will be on-site along with Dallas Stars mascot Victor E. Green and the Stars Street Squad, which will have inflatables and interactive games for all ages. During the evening, special Dallas Stars personalities will address fans in attendance about the team's offseason moves and the upcoming 2015-16 season. Ira Glass is the creator and host of This American Life, a public radio program that is heard each week by over 2.2 million listeners on more than 500 public radio stations. A true veteran to the industry, Glass has worked on nearly every NPR network news program and has received high acclaim for This American Life as being "at the vanguard of a journalistic revolution." For his "3 Acts, 2 Dancers, 1 Radio Host" performance at the Winspear Opera House, Ira Glass will be joined by dancers Monica Bill Barnes and Anna Bass in a show that combines two art forms for an entertaining evening of mixed talents. Purchase tickets here. 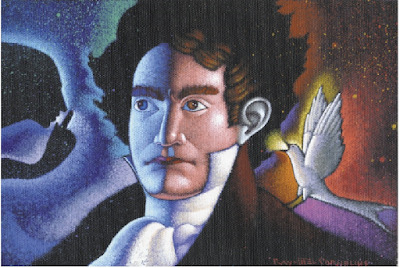 Basically Beethoven Festival is a series of free concerts every Sunday afternoon in July. Presented by Fine Arts Chamber Players, these concerts are held at the Dallas City Performance Hall in the Dallas Arts District. Doors open at 2:00 p.m. for the 2:30 p.m. Rising Star Recital featuring outstanding clarinetist Ridge Garner. Garner is the Grand Prize winner of the 2015 Collin County Young Artist Competition and 2015 Juanita Miller Concerto Competition. At 3:00p.m., Texas Camerata presents “Baroque and Beyond” with music by Schmelzer, Marais, Telemann, Vivaldi, Mudge and Beethoven performed on authentic Baroque and Classical period instruments. CBD Provisions offers delicious family-style Sunday Supper Classics, served Sunday nights now through August 2. Each week features a different three-course menu, including an appetizer, entrée, and dessert. For the perfect pairing, CBD also offers fifty percent off all bottles of wine on Sundays during dinner service from 5:00 p.m. to 9:00 p.m.in the bar and dining room. Tantalize your taste buds and end the weekend on a sweet note this Sunday #NearbyMuseumTower.